Age of Magic is an awesome RPG from Playkot. Join the epic war of the True Mages and fight for the fate of their dying fantasy world. 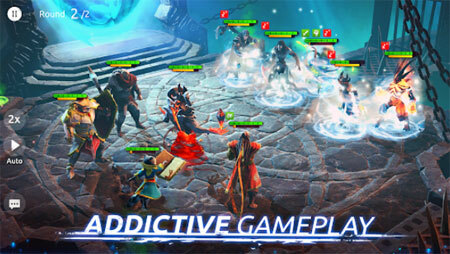 Collect and level-up legendary heroes to take them to fast-paced battles on stunning arenas. Delve into the world of Age of Magic, traveling with the powers of light and darkness. Meet legendary heroes, fight epic battles with unimaginable enemies. Learn the story of Roland the True Mage and his quest for the Dark Tower. Step into darkness and meet changeling assassin Sharazar, who will stop at nothing to get what he came for. Collect over 50 epic heroes, level them up, gear them with powerful weapons and armour, upgrade their abilities and rarity. Try different strategies, create your unique combination of heroes to build the strongest party in the world. If you get stuck in the game, check out the video walkthrough and gameplay for the game. This entry was posted in Android Games, iOS Games, Mobile Games, Walkthrough and tagged Age of Magic Cheats, Age of Magic Game, Age of Magic Gameplay, Age of Magic Guide, Age of Magic Hints, Age of Magic Review, Age of Magic Solutions, Age of Magic Strategy, Age of Magic Tips, Age of Magic Walkthrough by Marvin. Bookmark the permalink.